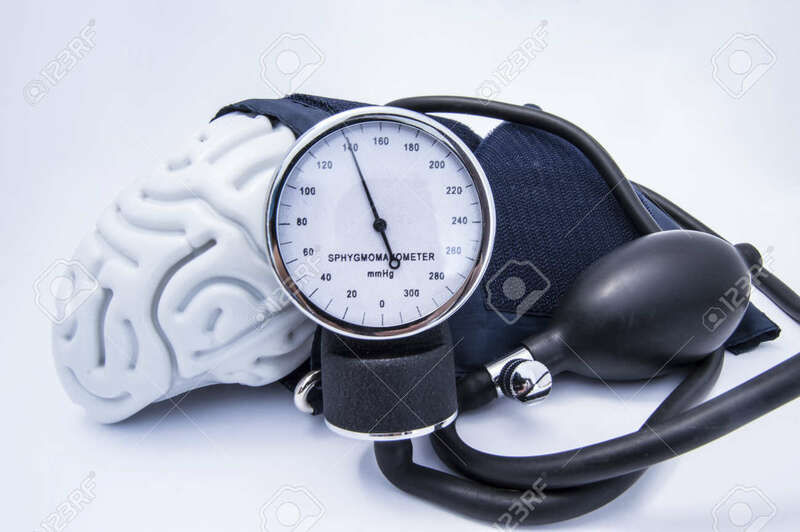 The Figure Of The Human Brain Enveloped Sphygmomanometer Cuff With Bulb (pear) And Dial Showing High Pressure. Concept High Brain Or Increased (raised) Intracranial Pressure (hypertension) Royalty Free Stok Fotoğraf, Resimler, Görseller Ve Stok Fotoğrafçılık. Image 89745607.